Prospect smarter with the powerful combination of G2 Buyer Intent Data and LinkedIn Sales Navigator. G2 is the world’s largest B2B marketplace, where 24 million unique visitors come each year to find software and services that are best for their business. G2 Buyer Intent data enables you to discover companies that are evaluating your product on G2—whether that’s looking at your G2 profile, category page, or a comparison between you and your competitors. With the G2 + LinkedIn Sales Navigator integration, sales reps can easily identify relevant contacts at companies who are showing intent to purchase on G2. 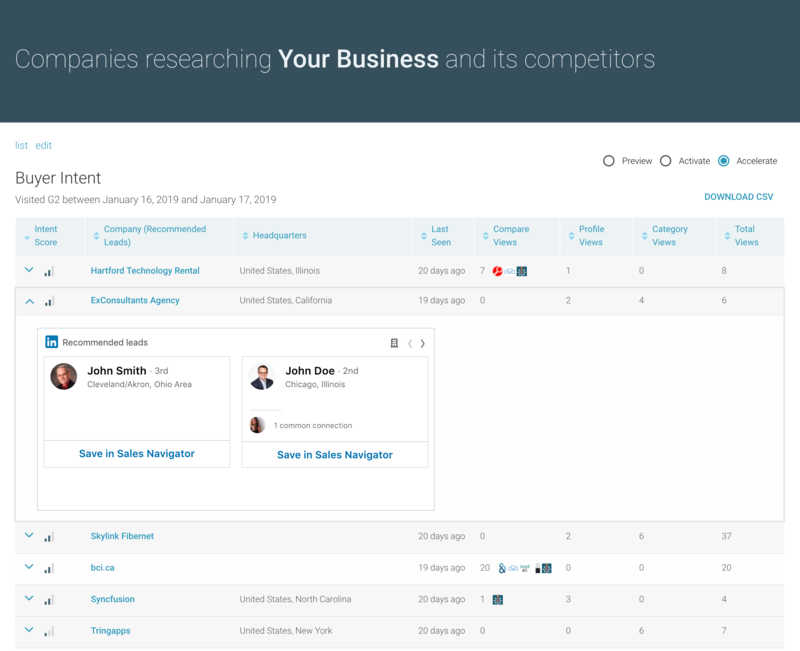 By embedding LinkedIn Sales Navigator profiles into the G2 Buyer Intent interface, sales teams will now be equipped to engage with the right organizations at the right time. 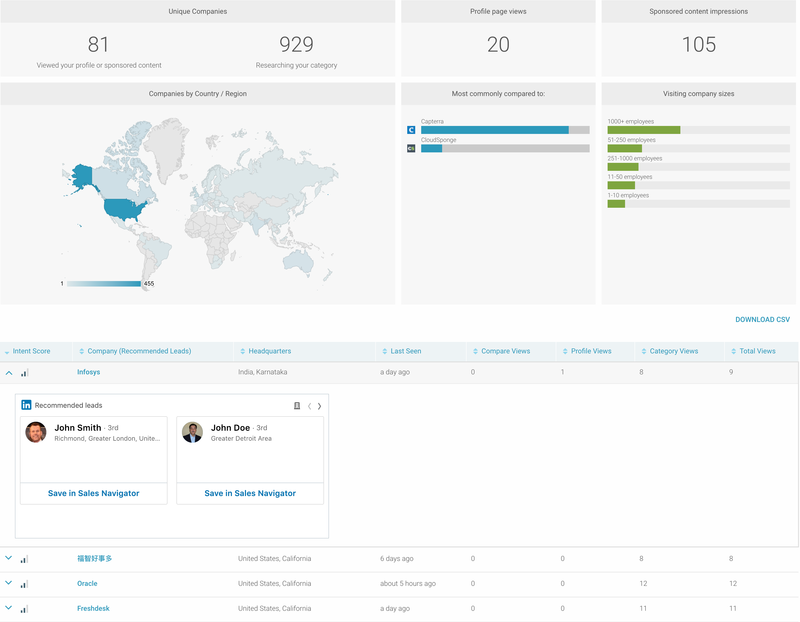 Already a G2 and LinkedIn Sales Navigator Customer? You’re all set! 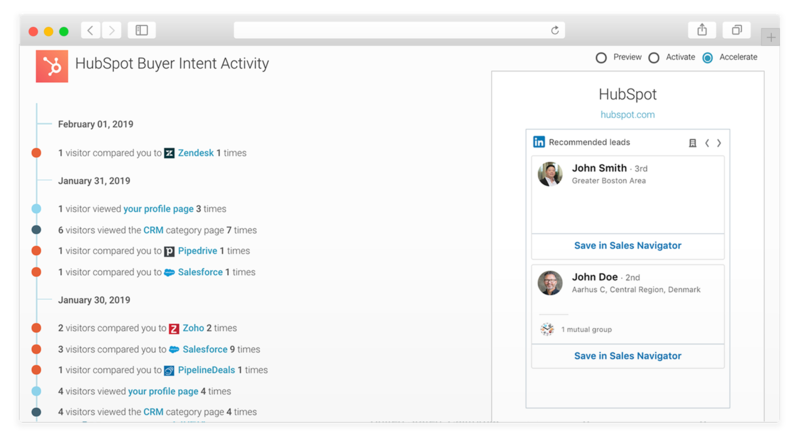 The integration is automatically turned on for all G2 Customers with access to Buyer Intent and a LinkedIn Sales Navigator Team or Enterprise license, so all you have to do is log into both and you’re ready to go. If you aren’t the admin for your G2 profile, but you receive Buyer Intent digest emails, you are also able to take advantage of the integration. Please Note: Each person who wants to use the integration must have access to both. Not a customer of LinkedIn Sales Navigator?